The world of technology certainly mirrors life in one aspect, which is the one constant factor of ‘change.’ The ability to evolve with the changing times is an essential requirement for a company’s success, and companies such as Research In Motion Ltd (NASDAQ:BBRY) that failed to do so initially are now having a lot of catching up to do. One company that has successfully utilized this ability to carve out a solid success story is search giant Google Inc (NASDAQ:GOOG). And it’s also something that is now rapidly helping it to outsmart smartphone giant and close rival Apple Inc. (NASDAQ:AAPL). As Google Inc (NASDAQ:GOOG) revealed its first quarter earnings figures, the company’s constant efforts to boost up the prices of its ads displayed on mobile devices seem to have borne fruit, as it coincided with the heightened interest in phones and tablets. For instance, Google effected a change in policy for advertisers who are members of AdWords, its bread-and-butter online ad system, saying that in case they choose to opt for desktop advertising, they need to pay for tablet-based ads as well. At the same time, advertisers now have to pay a fee to get them listed on Google Inc (NASDAQ:GOOG) Shopping, the company’s online service to help search for products. And retailers do not seem to mind the fact that this was a free service earlier, simply because ads displayed on Google Shopping have had a better performance rate than those displayed through AdWords. So, if you look at it that way, the company deserves a lot of praise, especially because of the fact that it slowly seems to be reversing a trend where mobile-related ads traditionally tend to cost less than ads displayed to desktop users. 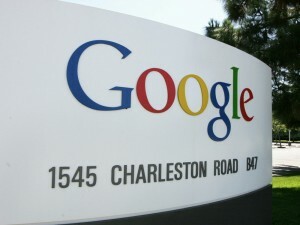 This is another feather in the cap for Google as it is able to successfully manage the transition to a post-PC world. And if investors are worried that average prices paid by advertisers to display their ads on Google sites are still going down, the boost in ad prices has already arrested that decline to some extent. Not only that, the gap is sure to narrow down in the future, considering the increasing trend of users to switch over to smartphones and tablets, which would in a way compel more and more advertisers to look at mobile ad-based options. This also means Google Inc (NASDAQ:GOOG) would continue to be the main beneficiary, thanks to its overwhelming dominance of around two-thirds of the web search domain. Perhaps the best thing about Google has been the fact that it could foresee the transition from PCs to smartphones and tablets much earlier than industry peers and took quick steps to be a part of this change. This is also what has helped it to remain dominant as a company, as it continues to reinvent itself to be a constant part of everybody’s lives. At the same time, the company has never lost its focus as far as its lines of revenue are concerned. Web search continues to be the backbone of its revenue earning divisions, while the spread of Android ensured that Google became synonymous with the term ‘mobile.’ And Project Glass, along with Project Fiber and the rumored ‘X’ phone, may very well open up endless possibilities for the future. Sadly, even though Google Inc (NASDAQ:GOOG)’s peer Microsoft Corporation (NASDAQ:MSFT) also took steps to adapt to the changing scenario, its efforts were often misdirected and not adequately researched. This is evidenced by two things – Windows 8 and the company’s push into the smartphone scenario. In case of Windows 8, Microsoft Corporation (NASDAQ:MSFT) made changes in the overall user interface (such as removing the start button and bringing in the Metro tiles feature) that were perceived as too confusing by some users, one of the factors that have resulted in a lower-than-expected adoption rate. And the absence of adequate apps for the Windows smartphone and tablet operating systems continues to be a major hindrance to a pick-up in related sales.